Sterility is a common concern among hospitals across the entire nation and one of the byproducts of constant sterilization is the creation of bacteria that have developed immunity to conventional means of treatment. This is exacerbated by the use of instruments such as endoscopes that may spread or cause superbug infections when not cleaned properly between uses. You have the right to expect that your medical procedure will not make you sick or cause complications that you were not suffering from previously and it is for this reason that the FDA has started to evaluate how endoscopes are sterilized between procedures and what additional measures can be taken to prevent the spread of disease. Rosenfeld Injury Lawyers LLC is investigating numerous endoscope infection cases on behalf of individuals and families. Our law firm is based in Chicago, but we are reviewing endoscope infection cases across the country. If you believe a contaminated endoscope may be responsible for an infection, contact our attorneys for a free case review. We will give you feedback about your legal options and the status of endoscope infection lawsuits in various jurisdictions. Since the 1990s, endoscopes have allowed doctors to obtain a firsthand view of a patient’s internal organs without the need for incisions or invasive surgeries. They are very thin tubes that carry a light and camera and include the added utility of being reusable— which reduces the cost of procedures which require their use. Conditions that are diagnosed or treated with endoscopes include the following. Diagnosis and treatment of stones in the bladder, gallbladder and bile duct. Detection of cirrhosis of the liver or in the ducts of the pancreas, liver and gallbladder. Diagnosis of infections which may result in inflamed pancreas, liver or other gastrointestinal organs. Detection of ulcers, diagnosis of GERD and acid reflex disease and detection of damage to the esophagus resulting from excess acid regurgitation. Treatment of poorly functioning valves throughout the gastrointestinal tract which may include values located in the pancreas or gallbladder. Detection and treatment of cancers of the pancreas, liver, stomach and throat. Bacterial superbugs, also referred to as carbapenem-resistant enterobacteriaceae are resistant to the antibiotics normally used to treat infections and can spread quickly once they have entered the body due to their resilience. After an endoscope has been used in a procedure, it must be sanitized so that any microorganisms the device has been exposed to are destroyed prior to the next use of the endoscope. Methods used to sanitize the devices are being proven ineffective, however, and patients are becoming infected with superbugs and contracting other diseases following endoscopic procedures. 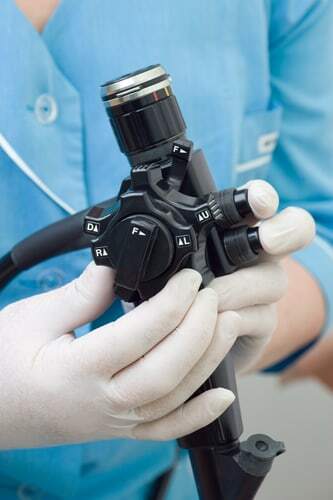 Endoscopes contain very small parts and crevices that may harbor bacteria and other microorganisms. It is difficult to clean inside theses small areas and any living organism that finds its way into these “safe zones” will inevitably reproduce and find a new host within the next patient’s body. Bacteria that are resistant to treatment may survive the current sterilization procedures being used; the technicians may do everything required to clean the devices but fail to prevent the spread of disease. Almost half of the patients contracting a drug-resistant strain of bacteria die from their infections. In 2009, the FDA was first alerted to the possibility that endoscopic procedures could result in the spread of drug resistant bacteria. It was at this time that the FDA started the process of reviewing current sterilization procedures in order to determine how best to reduce the risk of contamination. By 2011, new guidelines were released to healthcare providers in an attempt to address the rise in incidents where patients contracted drug resistant bacteria following endoscopic procedures. The U.S Centers for Disease Control became involved in 2013 when it declared it had found a firm link between the use of endoscopes and the spread of carbapenem-resistant enterobacteriaceae. It was also at this time that the FDA was flooded with reports of adverse events. The latest action taken by the FDA was to put a hold on the applications of companies producing new endoscopes. In addition, a notice was sent to healthcare provides recommending that they disclose the risk of infection to patients considering endoscopic procedures. At the moment, the FDA is continuing to evaluate methods of sterilization that could be more effective and additional methods of reducing the risk of infection. Doctors are advised also to follow up with patients regularly following procedures in order to quickly detect and treat any infection that develops after the use of an endoscope. If you have undergone any medical procedure that requires the introduction of a device inside of your body, it is important to be aware of the signs that you’ve acquired an infection because early treatment greatly increases your chance of survival and reduces the chances of complications. Superbugs have been known to kill about half of the patients who contract them and the symptoms include the following. An extreme fever that does not pass. All infections cause fevers, so at the first sign of an elevated temperature following any medical procedure, seek medical attention. Septic shock, which is also referred to as sepsis. This condition occurs when an infection reaches the blood and is difficult to treat because the blood makes the infection mobile; it can move to other organs. Resistance to conventional treatment. Doctors will typically respond to infections by prescribing the use of antibiotics. When these measures fail to result in any improvement, it is likely that the strain of bacteria is drug resistant and doctors must explore alternatives. If you’ve contracted a superbug infection following the use of an endoscope during a medical procedure, you may have a claim against the manufacturer of the device used in your procedure. For more information regarding your rights and the possible legal actions you may be able to take, contact Rosenfeld Injury Lawyers LLC to arrange a free consultation with one of our leading medical product liability attorneys. All consultations are confidential and come at no risk or obligation and we will never seek payment for our time until we have secured compensation on your behalf.